I'm in Albuquerque, NM, right now for a conference. While at the conference, I saw this truck. Creamland. Go ahead and say it. Creamland. 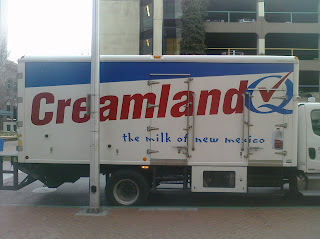 I want to live in Creamland. Actually, I want to be mayor.